Some swimming pool designers and architects appear to be moving away from the traditional, grounded rectangular form, according to a report from City Lab. One of the newer designs is the "floating pool," first advertised by the +POOL team in 2011. The idea is that the structure would function as a floating water-filtration system and a swimming pool all in one. The first proposal suggested a spot in New York City's river ways. Since then, others have latched onto the idea, including in Melbourne, Australia and London, England. Prior to that, there are plenty of examples of non-traditional swimming pools around the globe. For the most part, these tend to be private areas and are largely sequestered within hotels, resorts and lavish homes. Not a whole lot of fun for the public, but plenty interesting to look at. We've compiled the lot of them in the gallery below. 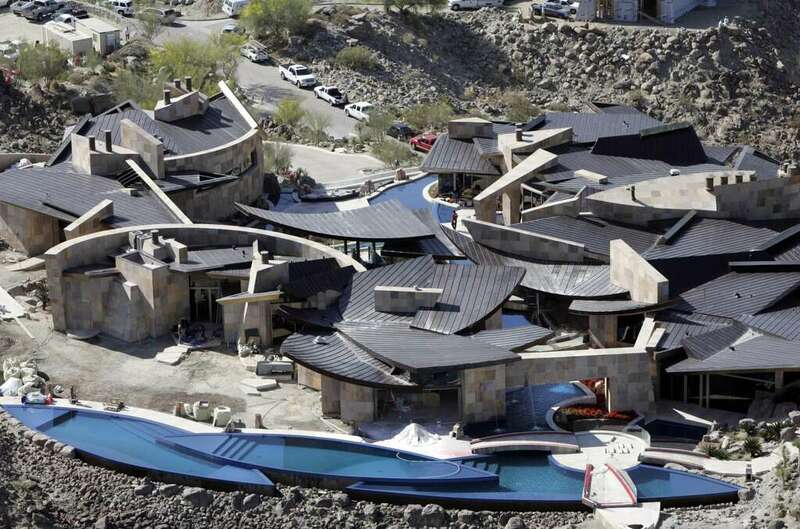 Duane Hagedon's 64,000 sq ft dream home is spread out on a ridgeline above the desert in Palm Desert, California. A tri-level swimming pool is seen in the rear part of the estate. Guy Dreier is the architect. 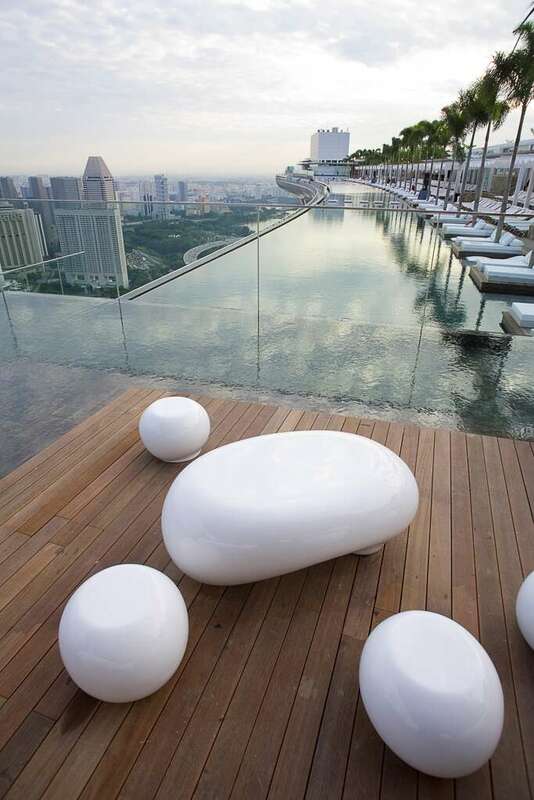 A rooftop swimming pool at the Marina Bay Sands Hotel in Singapore. Holland Park, London, United Kingdom. 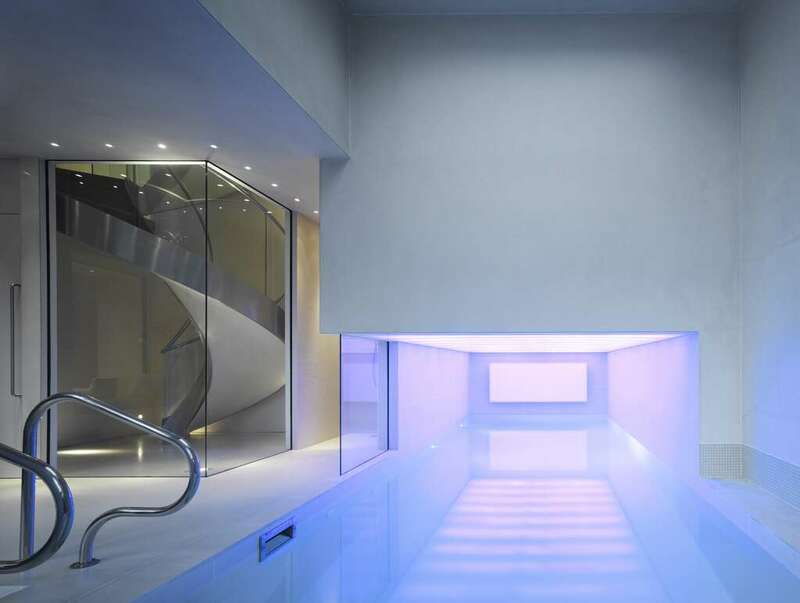 A 2010 photograph of an indoor swimming pool inside a home in Holland Park, London. 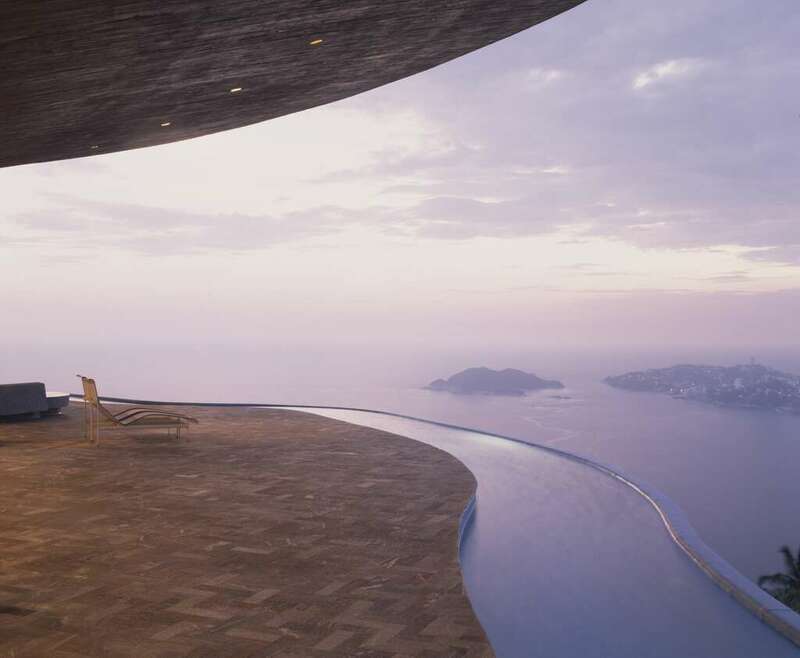 A swimming pool at the Arango Residence, designed by architect John Lautner in Marbrisa, Acapulco, Mexico. 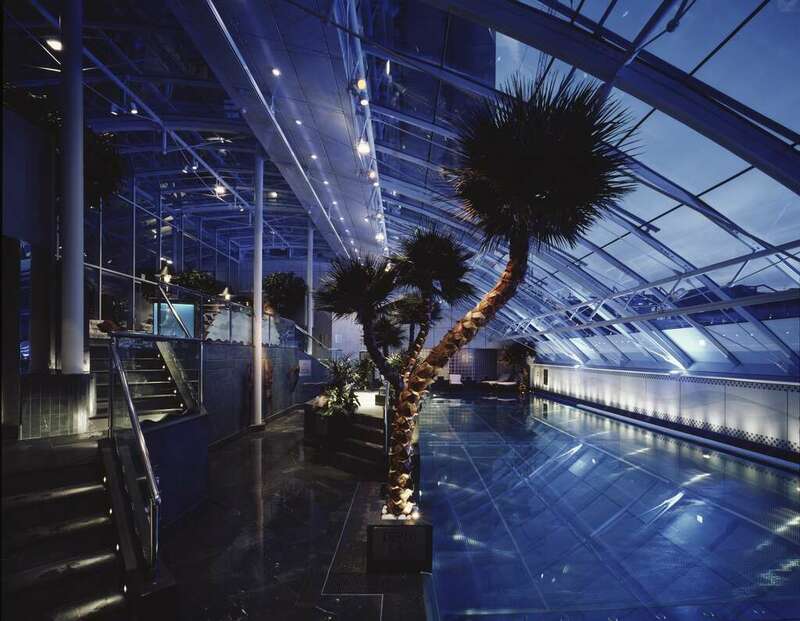 A photograph of a swimming pool adjacent to a bar area in London's Carlton Tower Hotel, designed by architect Charles Fowler. Tenerife Island, Santa Cruz de Tenerife. 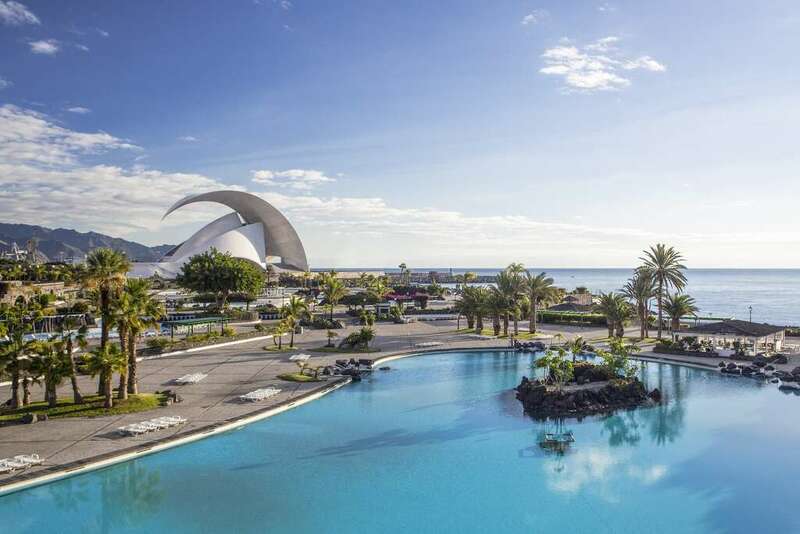 A view of the sea, pool and auditorium on Tenerife Island, Spain.